Search Holmdel homes for sale and homes in Holmdel. Call 732-616-6226 to see the available homes. Most of the homes are large, upscale housing. Prices for Holmdel homes for sale start in the starter home price range, however they can easily exceed $1 Million. 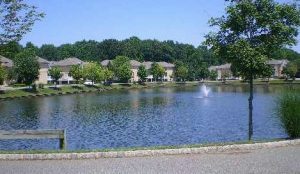 All homes in Holmdel offer convenient access to shopping, dining, recreation, transportation and of course, the Jersey Shore. Live music from major names is available at the PNC Bank Center. Professional and top-level collegiate sports are just a short drive away, many public and private golf courses are near. Many people move to Holmdel because of the top-rated school systems. Students from homes in Holmdel will attend the Holmdel Township Public Schools. Village Elementary School serves grades K-3, Indian Hill School has grades 4-6, while William R Satz School serves grades 7-8. And when students are going into grades 9-12 they will attend Holmdel High School. Holmdel High School recently was the 11th-ranked public high school in New Jersey, and consequently was ranked as Number 426 nationwide. In Holmdel you will also find many highly rated private schools, such as St Benedict (K-8) and St John Vianney High School. Nearby is Ranney School in Tinton Falls, a K-12 preparatory school and Christian Brothers Academy in Middletown. Students who are entering high school are also able to attend one of the seven magnet schools in the Monmouth County Vocational School District. These full time specialized schools prepare students for careers in health and science, biotechnology and high technology in addition to other career choices. The 2010 United States Census reported that the township’s population was 16,773. There were 5,584 households, and the median household income was $140,533. Accordingly, this is one of the highest income towns in New Jersey. 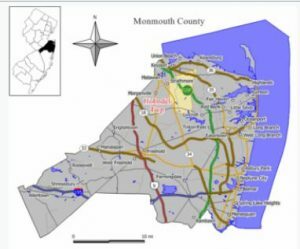 Holmdel has a total area of 18.115 square miles, This includes 17.896 square miles of land and 0.219 square miles of water. Call 732-598-7700 today to see the Holmdel homes for sale.